“The place is perfect for a romantic or luxury getaway, especially if you enjoy just hanging around in a beautiful pool with your significant other. “Breakfast served in rooms , very big swimming pool, nice decoration, staff very friendly and helpful. “Cannot recommend Atoll Haven highly enough ! The villa is beautiful and location is amazing ! Jordan and all his team were super friendly and couldn’t do enough to help you. “The villas are romantic, private, and beautiful. The pool is great for a refreshing dip any time of day, with lots of places to sunbathe, sit and read, or nap in the sun. Thanks for the warm welcome, the great recommendations and the smile ! Thanks also for organising all of our transportation. have done more for us. “A small piece of paradise ! Warm welcome of smiling manager and owners. Located on the quieter side, 100 meters from the beach for sunset. Free bikes and snorkel gears. “This place was perfection. From the gorgeous surroundings to the warm and informative welcome. So many thoughtful touches that made this our Favorite place we stayed in Indonesia. Had the best 5 nights there. Really enjoyed the peace and tranquillity. “Wow ! So beautiful ! “Such a dream place ! “Paradise villa in paradise island ! even a mobile phone is provided. “Jordan was always available for a nice chat and gave us good tips of were to go on the island. The villa itself is lovely, quiet and private and yet close to the beach and everything it has to offer. Everything was clean and neat. “They really thought of everything ! Delicious fresh breakfast made everyday. the beautiful villa is clean and spacious. “The privacy of the villa, the atmosphere and decoration, the hot and cold water dispenser, the welcome of the owners and their great recommendations on how to fully enjoy the island. “Absolutely amazing experience. Jordan and Joanna are incredible hosts, the villa is absolutely stunning and the home made breakfast every morning is out of this world. I HIGHLY recommend Atoll Haven Gili Air. “Great place on the wonderful island of Gili Air ! Everything was perfect, lovely villas with everything you need to spend a great time there. Thank you very much Joanna and Jordan and your staff ! swimming-pool. The owners and staff were very polite and helpful. 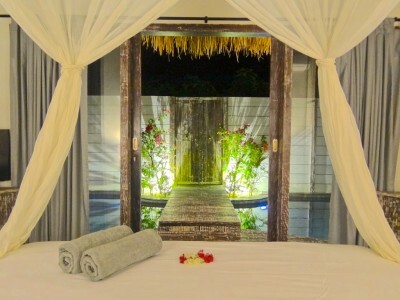 “Fantastic stay in Gili Air ! beach at a stones throw. Joanna, Jordan and all the team. The location on the quiet side of Gili Air is perfect. “The place to stay in Gili Air ! “The breakfasts were excellent. More than enough food. Hosts were excellent with a great orientation of the villa and the island. The privacy of the villa was very good. we loved the interior ! “The place is stunning ! “Our stay at Atoll Haven was just perfect ! If you want to be amazed, just go for it, it’s guaranteed ! “The villas were impeccable ! So clean and the design is lovely ! It looks exactly as the pictures shown. The hosts are lovely and are always happy to help with restaurant recommendations etc. The breakfast was nice and delivered to your room every morning. Loved Gili Air as well ! The private villa is amazing. Enjoyed getting a map and recommendations when when we got there. “Best parts of the villa ? The private pool, the comfy bed, the banana pancakes, the outside bathroom… I could go on and on ! 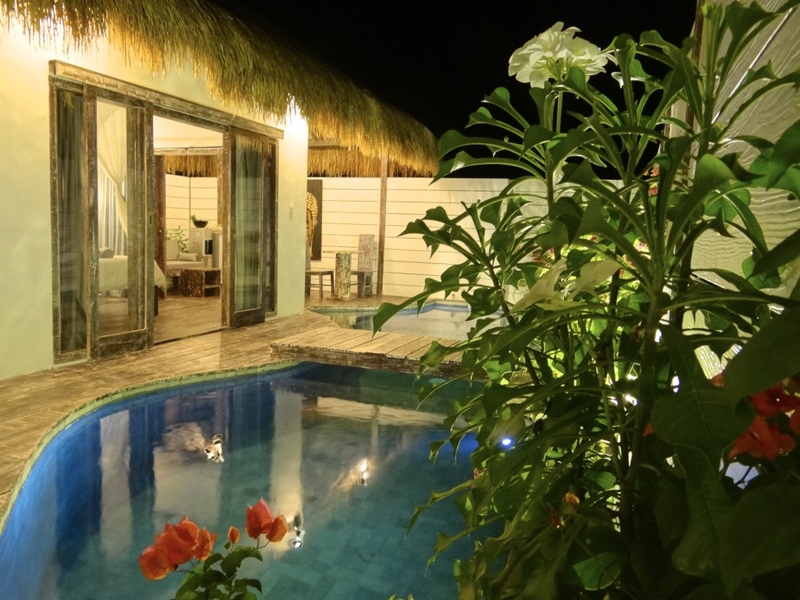 “We were made extremely welcome and loved our stay at Atoll Haven. “The villa itself is stunning ! 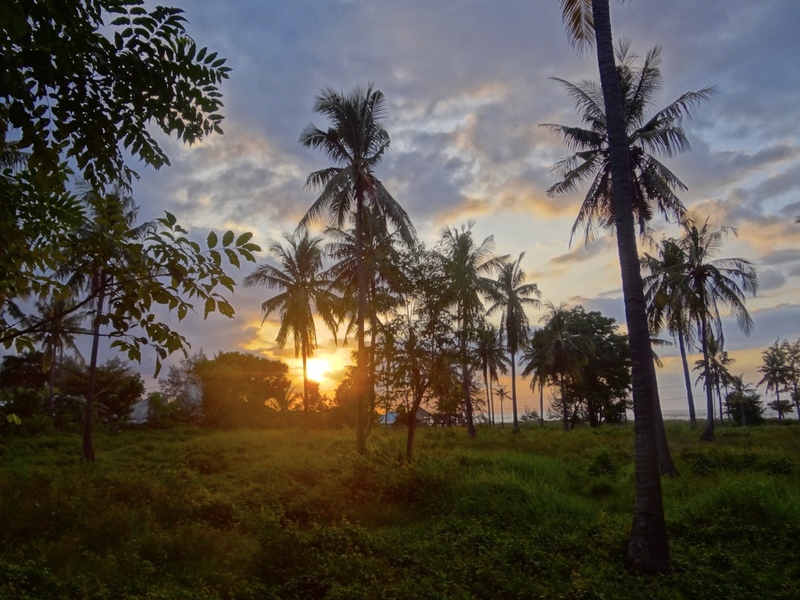 100 meters from the sea just behind a palm tree field in a very quiet area. “We had an excellent contact with Joanna and Jordan who are the perfect hosts. “Joanna and Jordan are great hosts, who are maintaining the private villa in the north of Gili Air with passion and love. “Located in the north of Gili Air, away from the busy harbor, there are a lot of amazing spots for eating or enjoying the sunset. & couldn’t of asked for more. we felt like we were in paradise ! “What a beautiful place ! We had a wonderful 3 nights here at the end of our honeymoon. The villa was so stunning we spent a lot of our time in it enjoying the private pool and movies provided. touch of luxury on a rustic but beautiful island. “The friendly and relaxed demeanour of Jordan set the pace of which we fell. The French flair of perfection is in every facet, and the work in producing such a wonderful place shows at every turn.